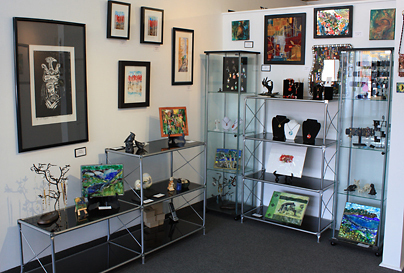 The Boutique at Art Gallery of Lambeth in London, Ontario carries unique gift items for any occasion. Small original pieces, prints, as well as other handmade items such as jewellery and pottery are available. The inventory changes regularly, so be sure to stop by and see what’s new. If you happen to be an artisian looking for a venue to showcase your work, give us a call to arrange an appointment. We love discovering new talent!